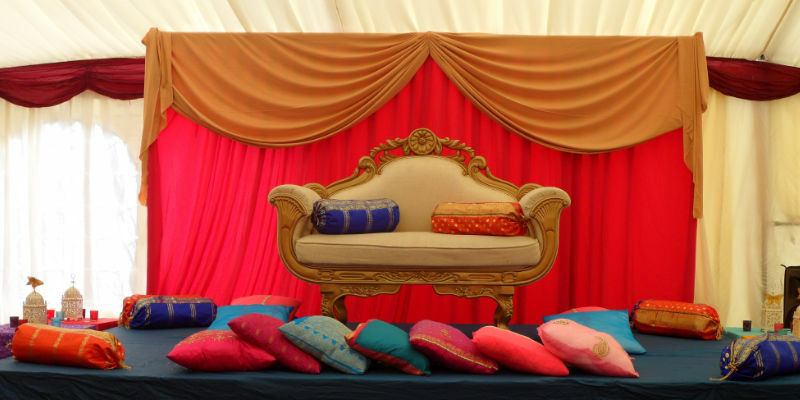 MEHNDI NIGHT SET UP - £350.00 INCLUDES BACKDROP, MATRESSES, PILLOWS AND FRENCH DOORS. We have designed our own bespoke pillows and backdrops to create unique materials that you and your guests won’t find anywhere else other than an event by Shaan Events. We are continuously extending our portfolio and materials to create unique and effective mehndi nights, our gallery section does not display all of our work. Contact us today on 07725163250 for a mehndi night consultation or email us.